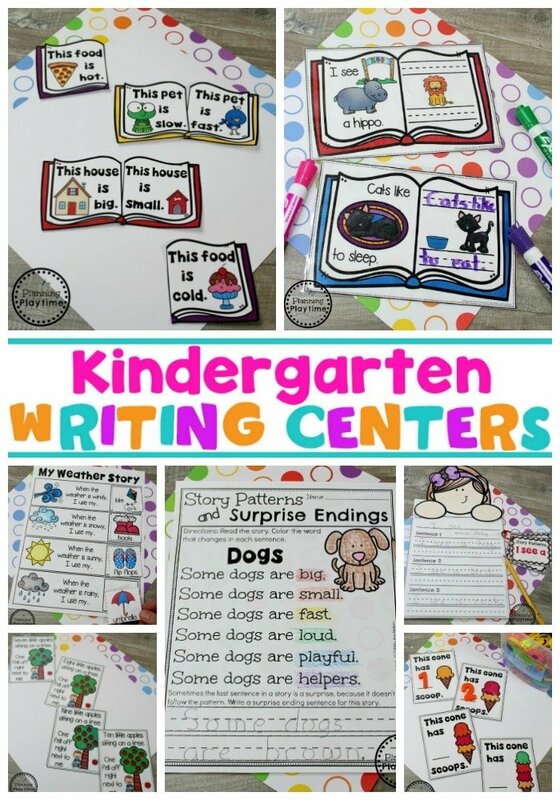 Are you searching for fun Kindergarten Writing worksheets and centers or Writer’s Workshop ideas? 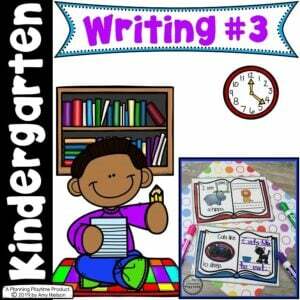 This is the third in our series of Kindergarten Writing units is for you. 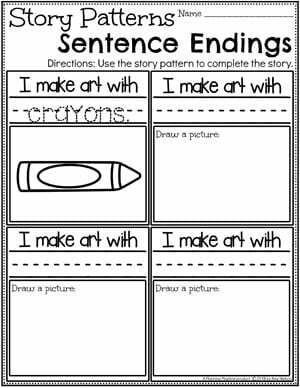 This third unit in our Kindergarten Writing series is all about identifying, continuing, and creating story patterns. 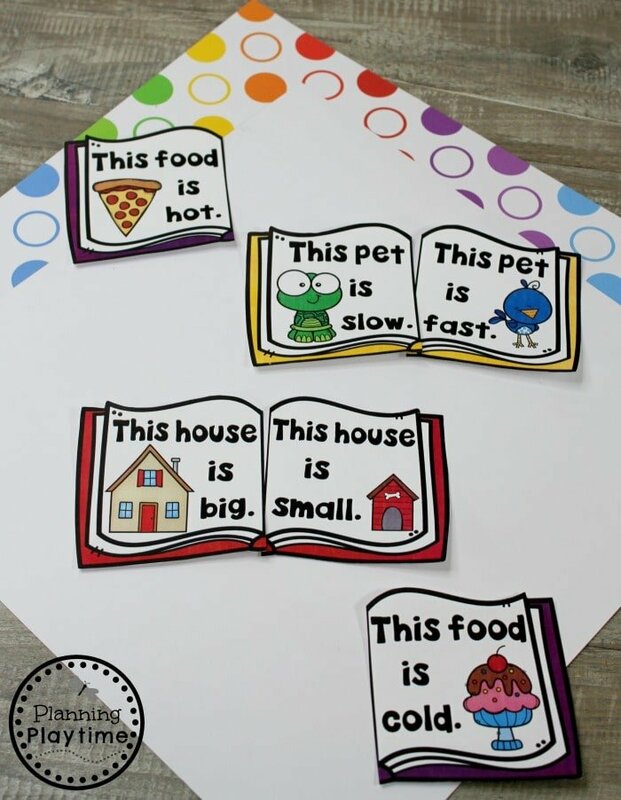 It encourages children to pay attention to what they are reading and look for patterns. 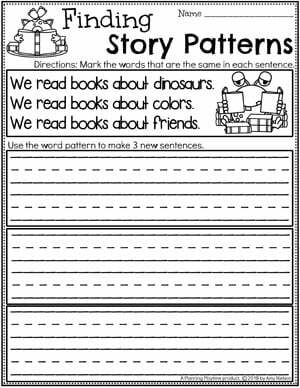 They can then write their own stories using similar patterns. 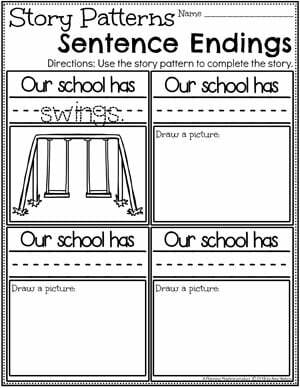 Here’s quick look at this new kindergarten writing unit three. 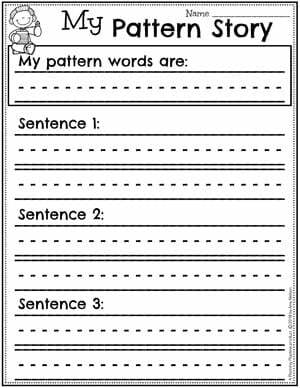 For this activity we are practicing repeating phrase patterns. 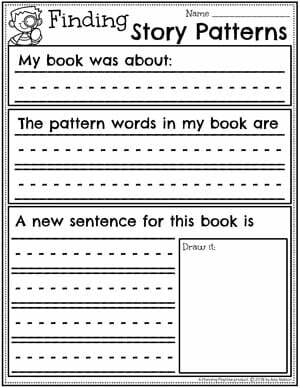 Children can see the pattern and picture from the first page of these book cards. They then write a repeating sentence changing the final word to match the picture. 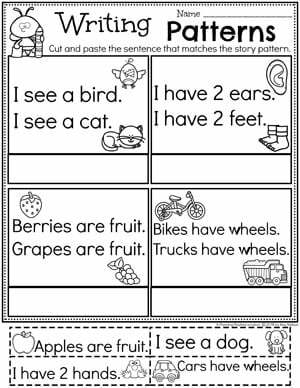 For this story pattern activity, the children can find the story pattern of opposites. They can read the pages of the book puzzles and match the opposites together. 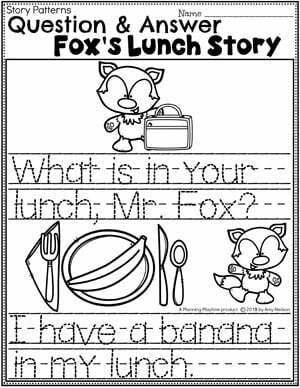 These kindergarten writing worksheets help children identify repeating phrase patterns. 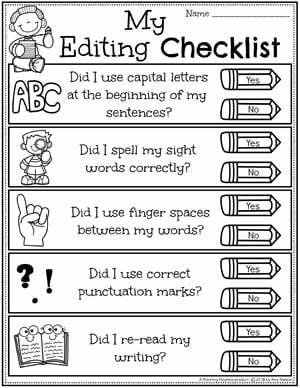 They can mark the word that changes in each sentence. 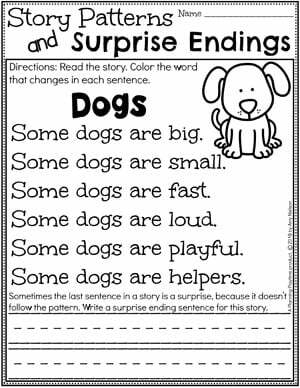 They can then continue the story pattern by writing a surprise ending sentence for the end of the story. 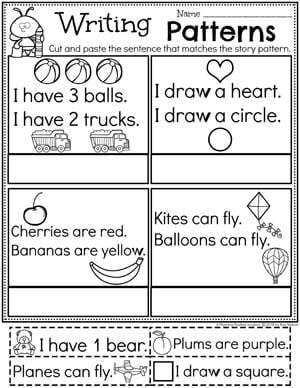 As children work their way through this kindergarten writing unit, they will be prepared to write their own pattern stories. 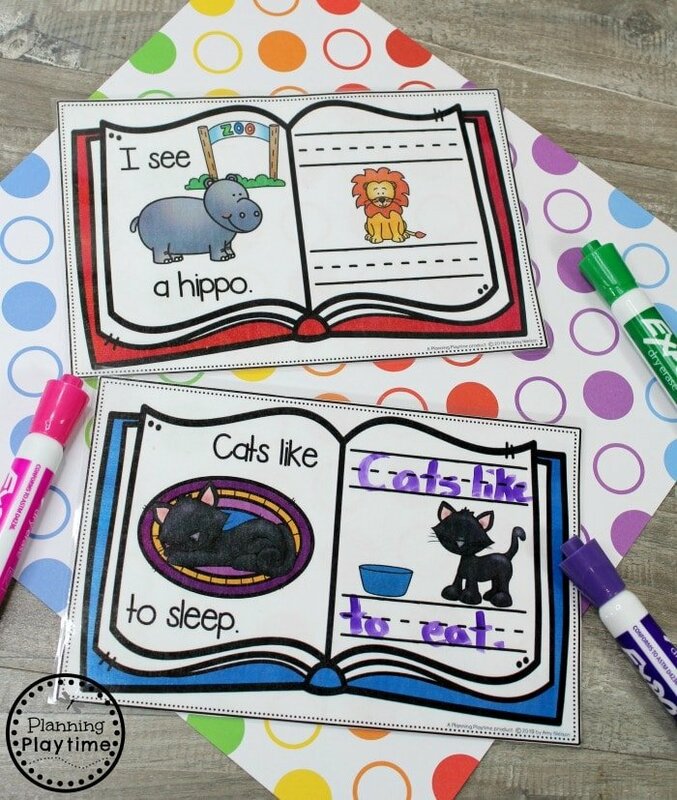 This craft allows them to publish and display their writing on the wall. 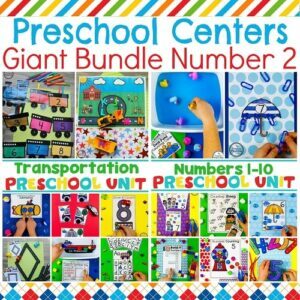 Counting patterns are a common story pattern. 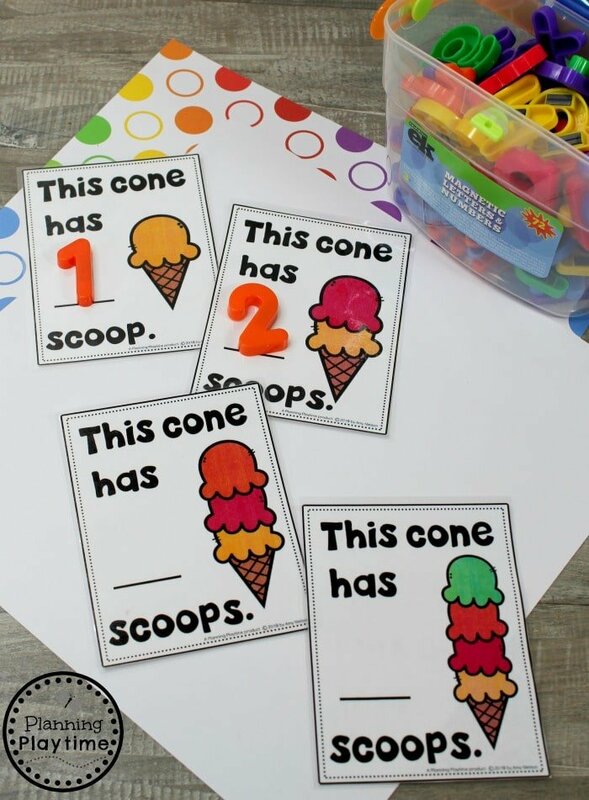 Children can sort these cards into order to practice reverse counting story patterns. 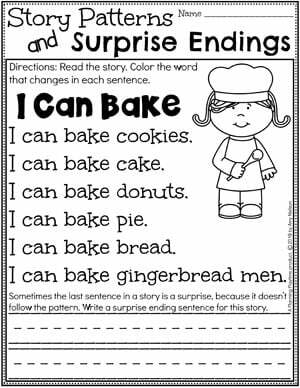 This activity is a way to practice reapeted phrase stories. 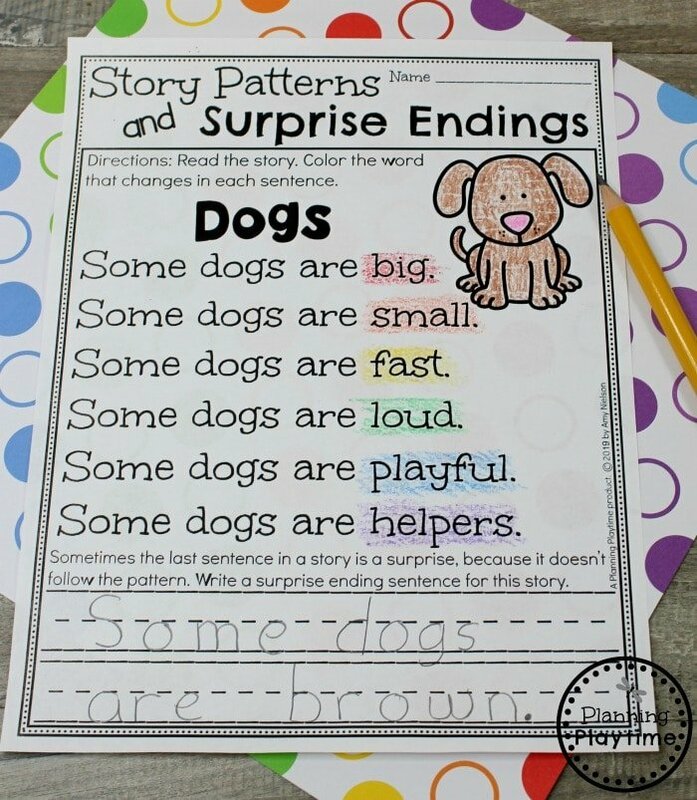 Children can write out the story on a seperate sheet of paper or change the ending word to a new word of their own. 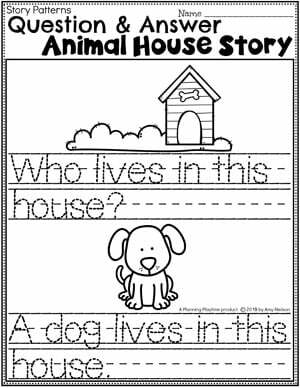 This story is another fun way to practice Counting Story Patterns. 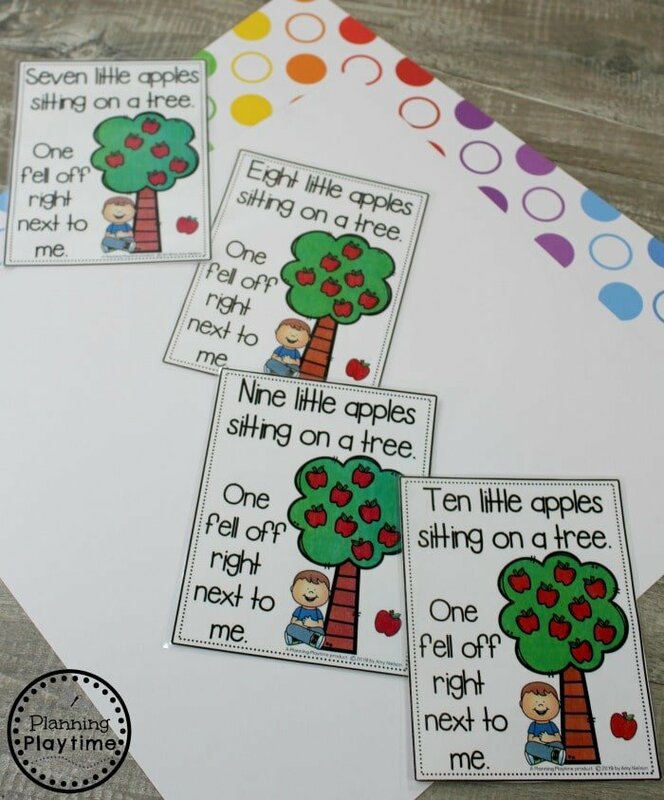 Kids can fill in the blanks and then place the story cards in order. 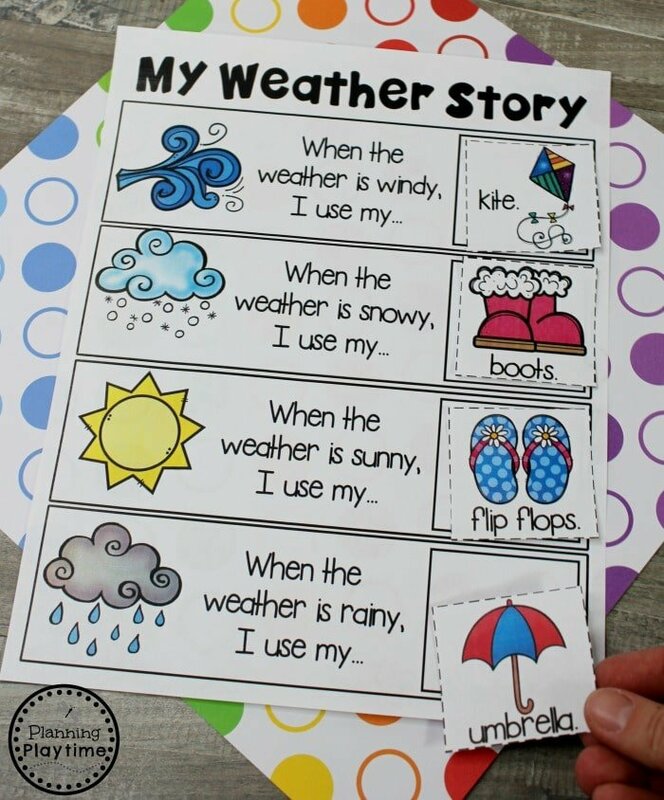 Then have them write their own counting story. 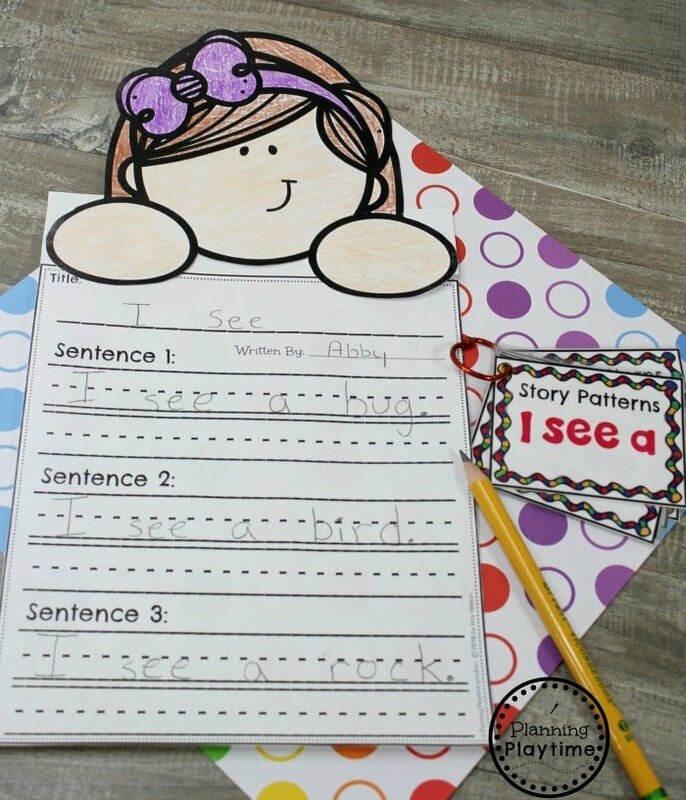 This writing unit comes with helpful kindergarten writing worksheets. 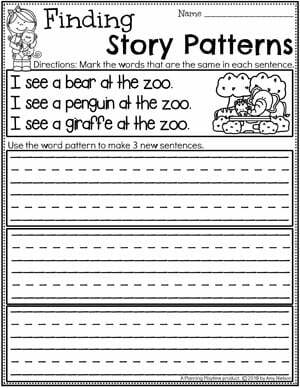 Children can practice their story pattern skills by continuing existing stories and writing their own.